Successful family relationships are good for business. Family businesses often focus on the bottom line and ignore the family relationships behind the business, assuming the two are separate. 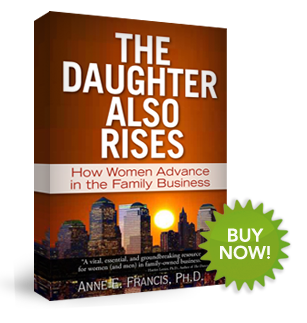 Family dynamics and relationship issues are key to assuring the success of the business and in planning for succession. Strong family relationships can also make the difference between a family business that successfully passes from generation to generation… and one that does not. The Family Business Resource Center provides long-term, durable solutions for strengthening the business and the family behind it. As leading family business consultants in North America, our experience and insight help the business—and the family behind the business—become and remain successful.